About two weeks ago, I was asked to appear as a guest on WAVY News 10 “Midday” in Virginia Beach, Virginia. The appearance was to promote my stunt dog show for the upcoming weekend event. 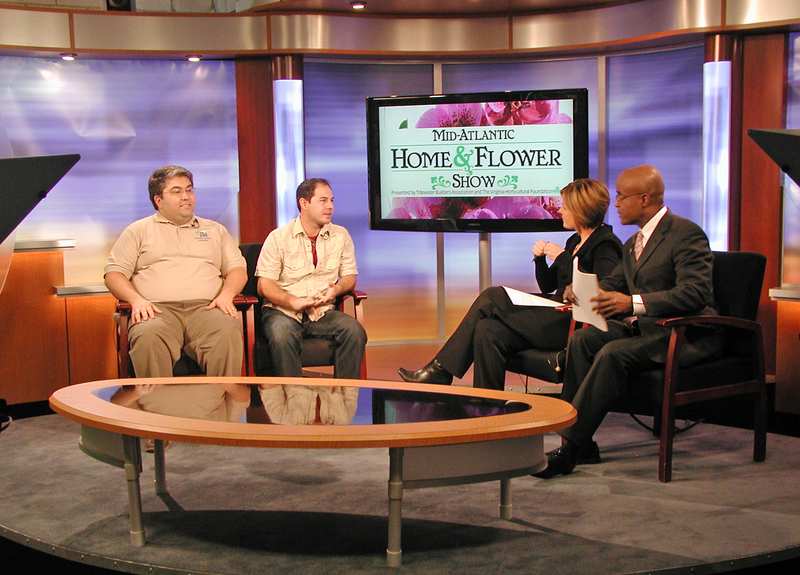 This was my second year working with the Tidewater Builders Association and performing for their Mid-Atlantic Home & Flower Show. I was asked to do this news interview a couple weeks prior to my arrival. However, the day of the scheduled appearance I was told they couldn’t allow any dogs on the set. They apologized as it was a new policy along with no more cooking shows and many other things. I immediately figured the interview would be canceled. But to my amazement they still wanted me at the studio for the live interview. I gasped and thought to myself, “I’m going to be on the news naked”! At least it felt that way at first. I’ve done hundreds of live TV interviews, but this was the first time without a dog. It’s common not to have a dog when doing live radio or while talking to a journalist for a newspaper or magazine story. But it felt amiss when I couldn’t have a dog during a live TV spot. I really did feel like I was naked on the news! It ended up turning out great as I joked with the reporters about how Harpo Studios (Oprah Winfrey Show) let me have dogs on the set. During the interview I promoted my show as usual as they flashed images of the dogs performing up on the screen. They were there in spirit, but it wasn’t the same as having my furry best friends by my side. When I got back they all looked at me and subconsciously said, “So you think you can do this without us now, huh”? I chuckled to myself and gave them the extra attention they deserved. I wouldn’t be where I am today without them! What a cool experience, man, looks like things are going well for you. Excellent!